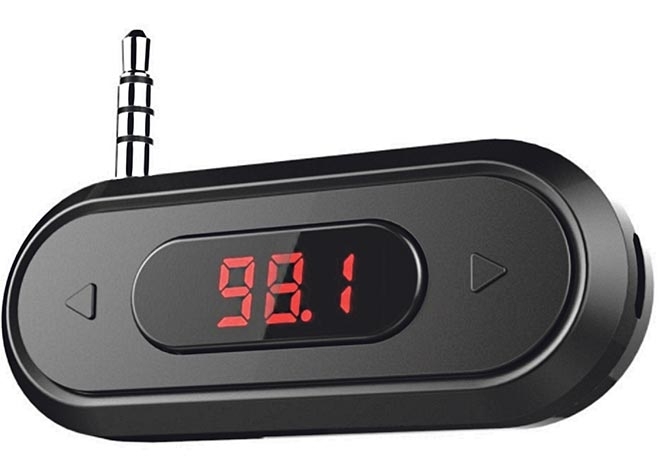 FM TRANSMITTER: Start your own station. OKAY I’ll finally own up. Guilty as charged of broadcasting without a licence m’lud. In mitigation you’d have to be just a few metres from my home to pick up my illegal transmission on a standard FM radio. You’d also have to be a fan of the BBC’s unrivalled speech station, Radio 4, because that’s all I’m pirating. And technically I’m narrowcasting, not broadcasting. It’s just one way of several today of bringing the world’s radio stations into your home. If your purse can stand the pain you could buy a dedicated internet radio for upwards of €100, and then devote your entire life to the thousands of stations it pulls in. A smart speaker like Amazon’s Echo or Google Home now does the same, as indeed can your smartphone or tablet with an app like TuneIn Radio. You could use a sledgehammer to crack a nut, as a homesick friend of mine has done. His computer pumps out BBC radio constantly through a little Bluetooth dongle, but most Bluetooth speakers like the one he then moves around die a death just a few metres from their source. FM goes further. My solution has simplicity on its side once you’ve set it up – the ability to listen to your programme of choice from any old FM radio, anywhere. Well, anywhere within about 10 metres, which puzzled the heck out of our Spanish neighbour suddenly hearing ‘The World At One’ where Radio Nacional should have been. (Tip: for cross-cultural harmony, don’t choose a frequency already ocupada). Here’s my recipe, and it’s definitely not rocket surgery. 1) Choose your signal’s source. The easiest is a radio station streamed from your computer (though I used my UK-tuned satellite decoder instead because I just love making life difficult for myself). 2) Buy any one of the dozens of tiny personal FM transmitters offered on Amazon and elsewhere, the kind normally plugged into a smartphone to play music through the car radio. Plug it straight into the computer’s headphone socket. (If you do prefer my more challenging decoder route, you’ll need something like a SCART [or RCA plugs] to 3.5 mm stereo jack socket adapter, plus a common 3.5 mm male-to-female stereo extension cable). 4) Choose an empty channel on the transmitter so as not to obliterate your neighbours’ favourite Spanish station. 5) Fire up your radio source and the transmitter, pick up any FM radio, tune it to the chosen frequency. And bingo, there’s Britain’s unofficial second national anthem every weekday at two. Dum-ti-dum-ti-dum-ti-dum, dum-ti-dum-ti-daah-dum….